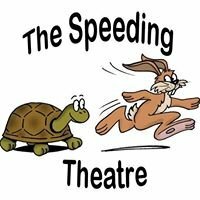 The Speeding Theatre Serves Up Murder and Mayhem (with a Side of Laughter)!!! The first act is Any Body for Tea? A one act murderous spoof. The second act is The Omelet Murder Case. This play imagines what would happen if the tragedy of Hamlet were played like a story in a trashy detective magazine. Coincidentally, both Any Body for Tea? And The Omelet Murder Case are set in Chicago in the 1950s. Directors are Beverly Ron and Audra Duvall. Marian Michaels, Speeding Theatre’s Acting President.